Nebraska football fans have endured a strange season, with a win over Minnesota last week lifting the team to 3-4 on the 2015 campaign. But now that we are into the second half of the season, we’ve seen the players that are most important to Nebraska’s success. These five are the players Nebraska can least live without for the rest of 2015. All stats from cfbstats.com unless otherwise indicated. When wide receiver De’Mornay Pierson-El was lost for the start of the season, many Nebraska fans worried who would fill his role. But after struggling with injuries and performance on the field, junior receiver Alonzo Moore stepped in right away and provided a spark to Nebraska’s offense. He’s been effective in what many envisioned Pierson-El’s role in the jet sweep – Moore is Nebraska’s sixth-leading rusher, and second in yards per carry only to Andy Janovich. And as a receiver, Moore is third on the team in total yardage. He is second in yards per reception to – you guessed it – big-play fullback Janovich. Moore provides a stretch-the-field speed threat that can help open running lanes, and his consistency this year has been an unheralded cog in the transition to new head coach Mike Riley’s offense. Yes, I am fully aware that cornerback Josh Kalu is a member of a secondary that boasts the worst pass defense in the FBS. But remember that the transition to new defensive coordinator Mark Banker’s scheme asks the most of the secondary. Sure, it’s been harder (OK, fine, a lot harder) than most anticipated, but that doesn’t mean progress isn’t being made. And it’s been Kalu that has made the most progress to date in that secondary. As the season has gone on, you can see Kalu doing better in single coverage technique, and getting more confident in making plays on the ball. Ultimately, Nebraska’s pass defense is only going to improve with superior play in the secondary. And Kalu, right now, provides Nebraska’s best shot at getting that level of performance. It’s easy to dismiss a guy like Westerkamp as a possession receiver, a steady-Eddie type who won’t ever make the splash plays but is super dependable. Of course, we know that Westerkamp can make plays that are behind-the-back sensational and game-winning critical. But even with the spectacular in his locker, it is Westerkamp’s consistency which makes him so valuable. He leads the team in reception yardage, and is second only to Moore in touchdown receptions. Westerkamp is a reliable third-down target, crucial for Nebraska’s offense to stay on the field and keep pressure off a beleaguered defense. Don’t let the statistics fool you. Right now, defensive tackle Maliek Collins is seventh on the team in tackles, second in tackles for loss, and fourth in sacks. But his presence in the middle is affecting everything else on the front end of Nebraska’s defense. Collins has been a lynchpin of Nebraska’s rushing defense, currently no. 7 nationally. And as the season is wearing on, you can start to see him becoming more and more of a disruptive force. Particularly against Minnesota last week, you saw Collins able to break through and apply pressure to the quarterback through the middle. And when he has been split outside, Collins has been able to wreak havoc as a pass rusher. With the return of defensive end Freedom Akinmoladun, Collins may get some additional space to work against opposing offenses. Regardless, his play has been instrumental in Nebraska’s defense, and his loss would be catastrophic going forward. This one wasn’t really close. A smart and particularly handsome analyst pointed out how critical Armstrong’s performance has been for Nebraska this year. Games won are in bold. The analysis is pretty straightforward. When Armstrong is completing more than 60 percent of his passes, Nebraska wins. When he doesn’t, Nebraska loses. 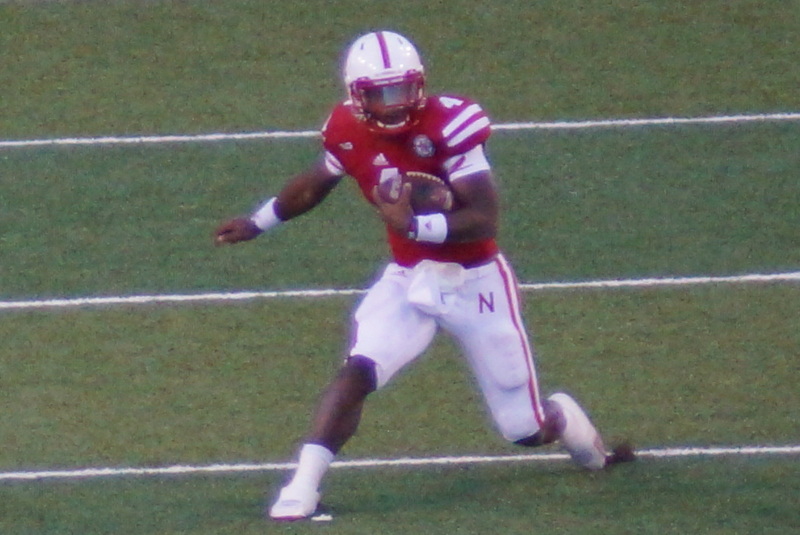 Of course, it’s not just Armstrong’s passing that makes him important to Nebraska. Armstrong’s rushing ability has been crucial, and the inclusion of that element (both planned and unplanned) has been the biggest area of growth in Riley’s new offense. Losing any other player for Nebraska would be costly, but would leave NU with options. If something happens to Armstrong, though, it’s hard to see how Nebraska would recover.